IPAF training courses promote the safe and effective implementation of Mobile Elevated Work Platforms across the globe. However, choosing the right category can be confusing, as you’ll be presented with several choices and may be unsure of what will give your employees the correct operator license. So, how do you know which course is the best for your business and your employees? Not all IPAF courses are the same, as they cover different subjects and it’s important to have the right training for the job. Identifying risks and eliminating them are crucial in a safe work environment, so we aim to help you make an informed decision and choose the right course for you, your business and your employees. All of the categories can be completed on their own or with other categories on the same day. First, it’s important to clarify what the differences between ‘static’ and ‘mobile’ is, as this is often where the most confusion lies. Mobile means that the operator can drive forwards and backward and steer the machine while in the air. Static refers to the fact that a machine can’t be driven while the boom is in the air. 1b machines are static booms – these vehicles (illustrated below) tend to use hydraulic legs once in position to stabilise as them as the boom is elevated. This means that even though they are on a mobile vehicle like a van that they are categorised as static. Examples of these types of machines are spiders (which we often train delegates in), self-propelled booms or outriggers, trailers and vehicle-mounted platforms. The 3a category refers to the safe use of Mobile Vertical machines usually called scissor lifts. Once they have been manoeuvred into position they can move straight up and down vertically. The IPAF 3b category covers the safe use of Mobile Boom machines (also known as cherry pickers), which are self-propelled booms and may be articulated. These are similar to the 1b in terms of how they can be manoeuvred vertically but you also have the ability to move the base unit while been elevated. You may be wondering what 1a machines are. This category refers to static vertical personnel platforms that are static and often uses hydraulic legs. They are similar to scissor lifts in the way their move vertically. These machines are now more redundant than not, so it’s unlikely you’ll find many in operation in the UK. The Push Around Vertical (PAV), this category can be completed as a familiarisation course at the end of a 1b, 3a or 3b course. Alternatively it can be completed as a separate half day course. When moving the vehicle into position they are pushed manually hence the name. They can then move vertically straight up and down, in a similar way to a Scissor Lift. At the end of the course you will receive a certificate and a card to show what categories you have passed. If you pass the theory and only pass one element of the practical this can either be reflected on your card or you can come back and resit the practical for that category within 28 days. The card and the certificate are valid for 5 years. What Other IPAF Accredited Training is Available? The MEWPs (Mobile Elevating Work Platforms) for Managers course is aimed at people who manage employees who work at height; they are, then, responsible for the health and safety of everyone on site. This is an entirely theory based course. For workers operating a 3b or 1b boom-type MEWP, like a cherry picker or a van mount, adequate restraint via a harness (with an adjustable lanyard) is required. 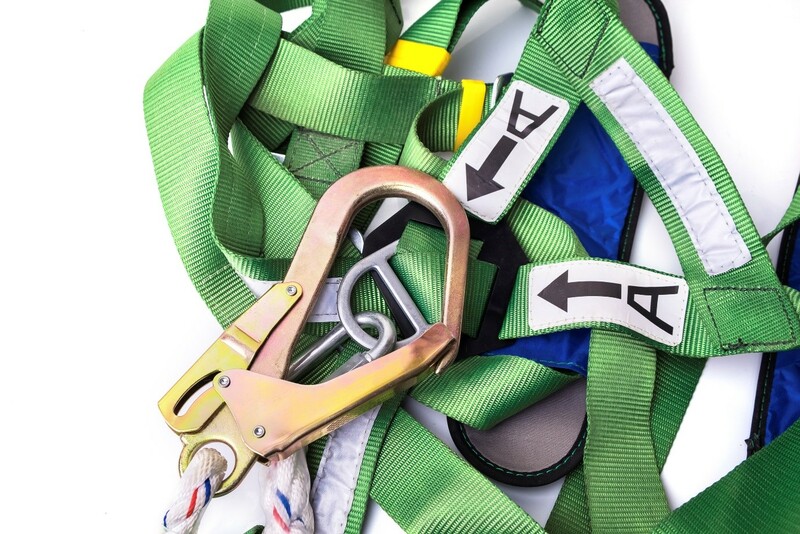 This course is necessary for everyone who uses safety harnesses and lanyards to work on these types of machines and is a mixture of theoretical and practical training. It covers elements such as selection and inspection, as well as wearing, using and maintaining safety harnesses. This is aimed at employees who work in higher risk or challenging work-at-height environments. It consists of more advanced and extensive training and is typically held in one day. 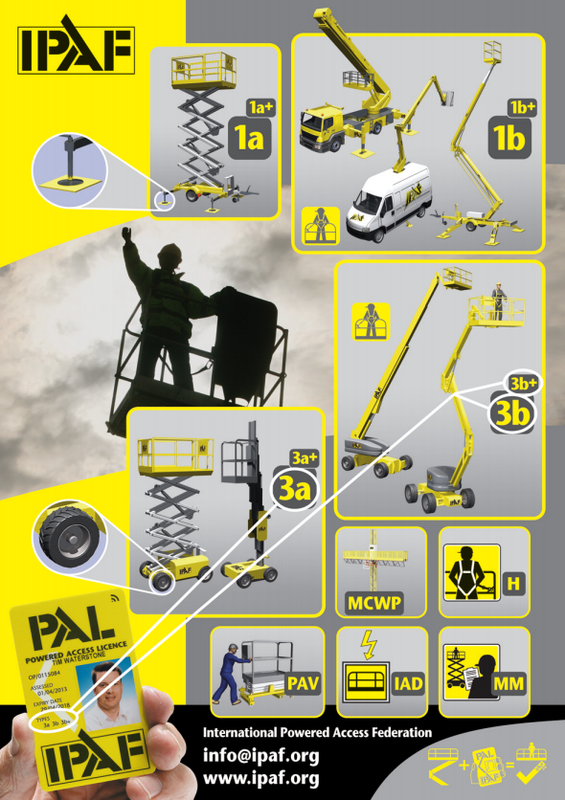 So, when you see an added ‘+’ sign on a PAL card, it means that its cardholder has successfully showcased an ability to operate powered access equipment in an efficient and safe way in challenging workplaces. This can include steelwork, jobs performed in confined overhead spaces and work on difficult terrain. Will You Have to Renew Your IPAF Licence? Yes. You will only have this licence for 5 years, meaning that, after this time period, you or your employees will have to renew it. You can do so by taking a half-day test if you have filled your log book with 60 entries in the last five years, ten of which need to be in the last year prior to renewal. Otherwise, you or your workforce must retake the whole training course. We can provide several IPAF approved training courses, so, by booking them with us, you know that you are getting effective training in powered access equipment – just get in touch with us on 01422 358184 or send us an email at enquiries@bosstraining.co.uk.